We have just created a crowd funding campaign to help Owen Geiger in his current situation and you can go to www.plumfund.com to donate. He is currently in a hospital in Sakhon Nakhon, Thailand, the town where he has made his home for the last dozen years. Owen fell ill in mid August, 2018, while traveling in Cambodia in order to comply with visa requirements. He became very weak while treating what he thought was intestinal parasites and eventually had to be transported by ambulance to a local hospital. The Thai family that Owen had been living with immediately responded by helping him return to his home town via several other ambulance trips. Over the first couple of weeks Owen was sustained by tube feeding and artificial breathing, as he seemed to have an infection in his lungs. Now he is breathing and eating on his own, but is still quite weak and can barely talk. He does seem to be slowly improving. All of this medical attention has cost Owen and his Thai family several thousand dollars. Unfortunately the clock is ticking with how long Owen can remain in Thailand under his current visa situation. Even though Owen has found his home in that country and has created a homestead with an amazing food forest with a caring family, the government still considers him a tourist. What he needs in order to become a resident with a retirement visa is about $25,000 in his personal bank account. So we have set up this crowd funding opportunity to help Owen obtain a retirement visa and help defray his medical expenses. If we can raise at least $30,000 we will accomplish these goals! Owen has devoted his life to helping other less advantaged people obtain their dreams of having a proper home, wherever they live around the world. When living in the United States he worked with Habitat for Humanity and then was director of Builders without Borders. He has designed emergency shelters and freely given these plans to those in need. 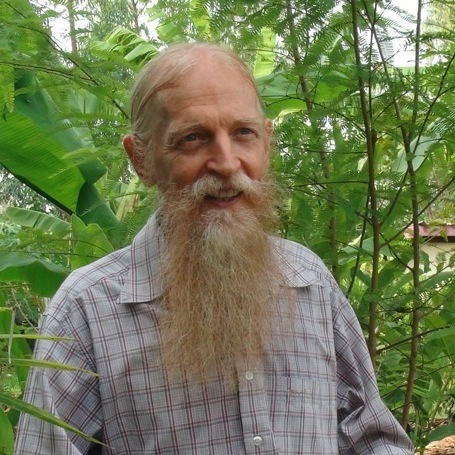 He was actively assisting folks in Haiti and in Nepal after their horrendous natural disasters. He worked with Good Earth Global to educate governmental agencies about sustainable building practices, especially earthbag building. He has helped promote these ideals through the Natural Building Blog for nearly a decade, freely providing information and advice. Owen is definitely a force for GOOD and deserves some good help in his time of need. To help Owen in his current situation please go to www.plumfund.com. 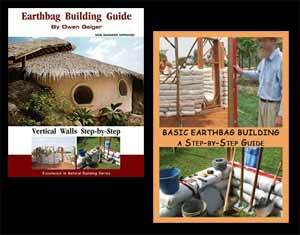 Owen opened up a world of possibilities and inspired me to build an earth bag house for my retirement. This website is my Saturday morning treat! Thank you Owen, get well soon, the world needs you. ? Donating today. Thanks Kelly. Owen is priceless. He should be considered a national treasure. Will donate now. donated…only fair…..his generous sharing of information has helped me build a dream earthbag studio for my sister, and wakened me to the advantages of sustainable living. Thank you both. will go donate now. thank you for letting us know this is available to help Owen. He has certainly helped to keep my own dream alive, of affordable living for me and for everyone.